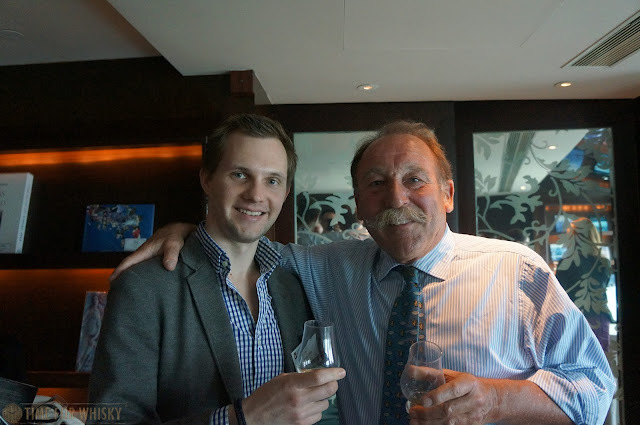 At the Hong Kong Whisky Festival back in February, we were incredibly fortunate to share a Balvenie lunch with Scotch whisky writer and industry legend Charlie MacLean. That wasn't our only whisky experience with Charlie, though. Straight after the lunch, we headed upstairs to one of the InterContinental Grand Stanford's function rooms (with sweeping views of Hong Kong Island across the harbour), for one of Charlie's famous "Now & Then" tastings. It's not often we get a chance to do such direct comparisons, but we've always found the opportunity to do so hugely enjoyable. This was no exception. 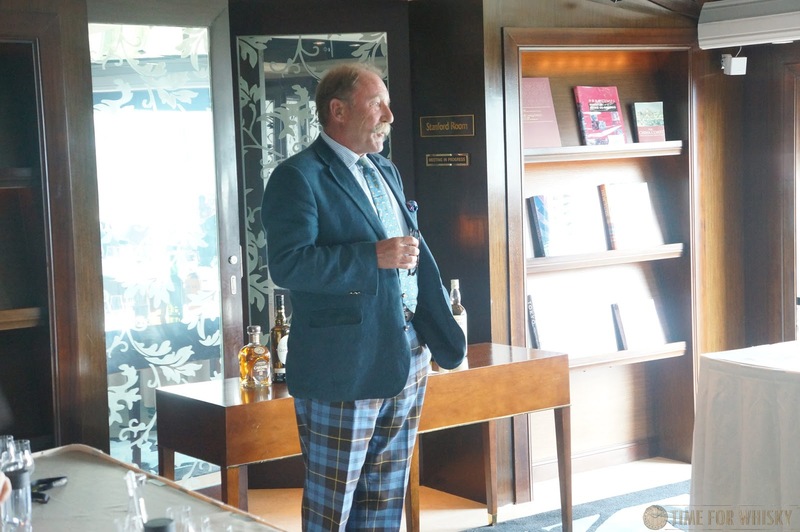 Charlie opened proceedings by explaining some of the background and history of each distillery, as well as some interesting insights that few would know (what Charlie doesn't know about Scotch whisky basically isn't worth knowing). 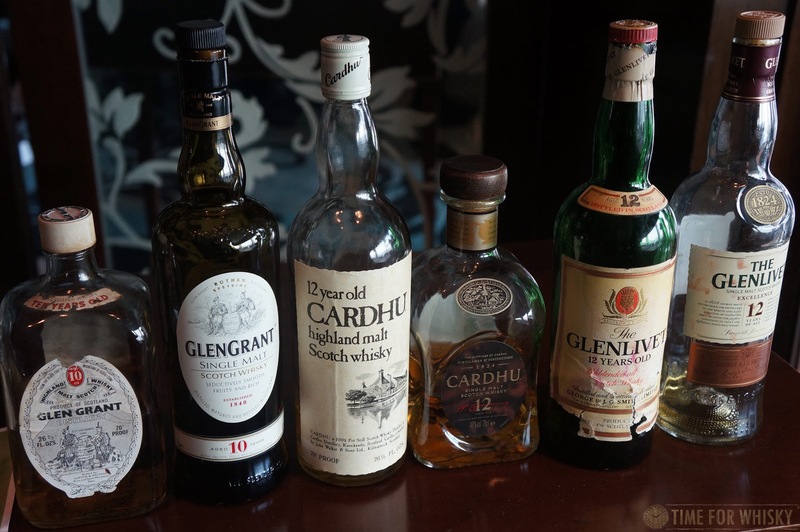 Starting with Cardhu, Charlie talked of its "promotion" to a single malt product in 1968 (based on the success of William Grant & Son's Glenfiddich and others), and its subsequent yoyo-ing between being sold as a single malt and being reserved for blenders, before finally, its return as a single malt in 2006. Nose: Hugely tropical (passionfruit, papaya, pineapple), with a hint of mustiness but also plenty of freshly cut grass. Sweaty socks. After 20 minutes, loads of creamy caramel. 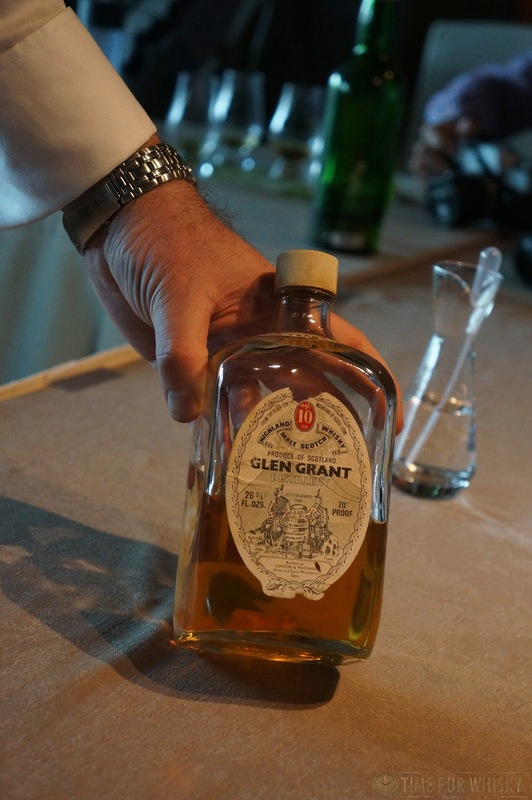 Palate: Soft, musty, with a slight meatiness and sweet tropical vanilla notes. Finish: Medium length, with vanilla sweetness to the very end. Rating (on my very non-scientific scale): 90/100. I suspect age may have slightly impacted the nose and palate, but there was enough going on to give an idea of what it would have been like ~40 years ago. Nose: Sweeter and with more caramel than the 70's bottling. There's still fruitiness, but berries and bananas this time. Palate: Lighter, thinner, still very sweet, with a slight floral acidity and a touch of earthiness. Finish: Longer than the 70's bottling, but a little less polished, with a little more alcohol burn. Rating (on my very non-scientific scale): 88/100. There were similarities between the two, but clear differences too (as you'd expect). Next up was Glen Grant - a distillery whose standard OB releases of late I have to be honest, I haven't been hugely fond of. 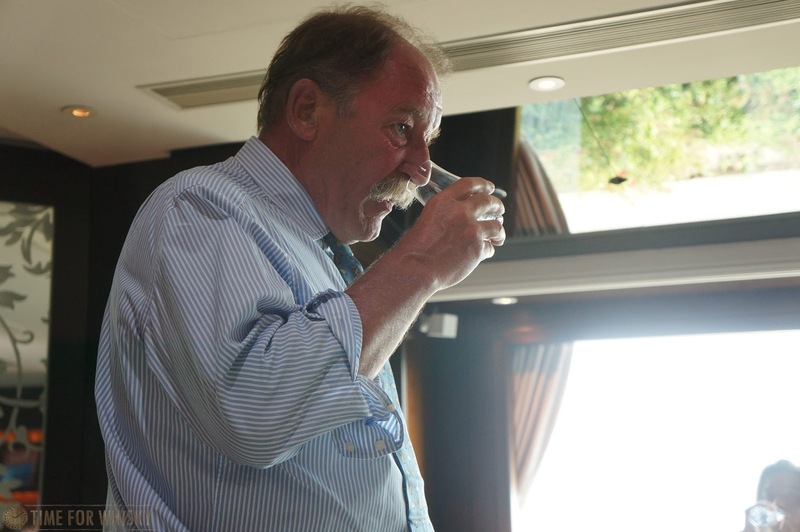 Charlie talked us through the distillery's strong Italian connection (which stretches further back than 2005's Gruppo Campari acquisition), it's position as number 1 single malt in the Italian market, and displayed his incredibly detailed knowledge with tidbits like the fact that in 1916 Glen Grant didn't add the alcohol proof to their labels. Nose: Big tropical fruit bouquet - whole oranges, apricots, pears, peaches. A touch of candle wax too. Palate: Waxy, meaty, with a slightly earthy smoke and hints of wet grass. Finish: Medium, rich, smoky with a rich toffee finish at the very end. Nose: Strawberry cream and Iced Vovos. Hints of tropical fruit. Then some berries - Monte Carlo biscuits? Palate: Thin, grainy and sugary-sweet. Not a whole lot to be impressed by. Finish: Short, thin and bitter. Rating (on my very non-scientific scale): 86/100. Nice nose (initially), but a fairly disappointing palate and finish when compared to the 70's bottling. Nose: Subtle ashy smoke (that was unexpected). BBQ-grilled pineapple, with a very slight mustiness. Palate: A big robust oily mouthfeel gives way to smouldering smoke and BBQ'd meats. The nose implied this would be sweet, but it wasn't at all - instead rich smoked meats dominate. Finish: Long, toasted oak, with as light earthiness. Rating (on my very non-scientific scale): 91/100. Not quite what I'd expected, but enjoyable. 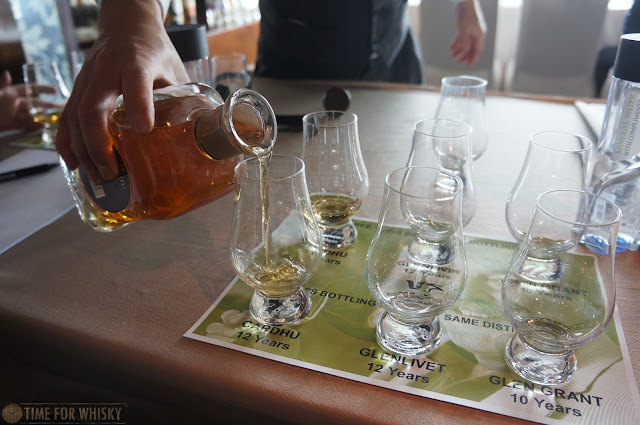 A more heavily sherried 12 year old release from The Glenlivet only available in four markets in Asia. Nose: Light, floral, fruity - peaches and pear slices. Palate: Smooth but a little thin. The floral and fruity notes continue, with honey-drizzled pears and a touch of Brazil nuts. Finish: Medium to long, with a sweet nuttiness - think sugar-coated almonds.